1. Install the drivers of A116 on your PC from requirements. 2. Now start the SP Flash tool. And click “Scatter- loading” and choose the MT6589_Android_sca in the SP Flash tool. 3. Now click on “Recovery” and choose the recovery.img downloaded from requirements above. Uncheck all the boxes accept the one for Recovery. 4. Go to Options > Check USB Mode. Also again go to Options > DA Download All > Speed > Force to high speed. 5. Now take out all the stuff from phone like Battery, Sim, SD Card. Flash tool, click the Download button. Ignore any prompts and go ahead to flash CWM. 8. As the process ends a Green Circle show up. 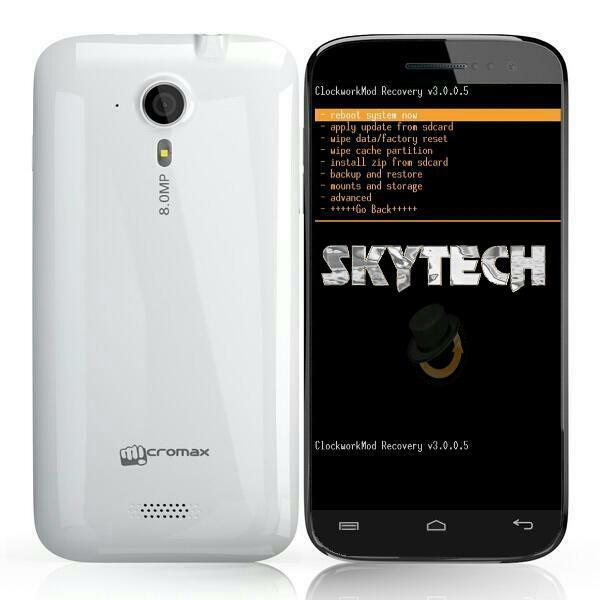 Thats it you have successfully flashed ClockworkMod recovery on Micromax A116 canvas HD.